As we all know, a drop in blood sugar can lead to migraine, or a general feeling of un-wellness. So, at around 10.30am, while the rest of your family and friends are at church/sleeping/drunk you must pull a leg off the Turkey (it will probably have been in the oven since 6am so the leg should be cooked). You can then make yourself a delicious pre-lunch snack, consisting of a Turkey Sandwich. If you forage around the kitchen you will find cranberry sauce, stuffing, gravy - all the essentials of the perfect Sandwich. You should probably just keep eating for the rest of the day. 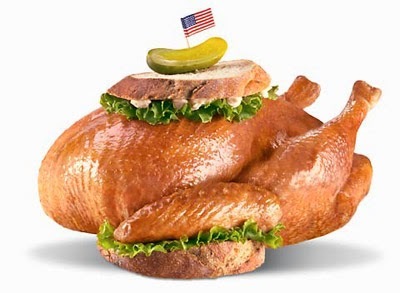 If you are offered any of your food triggers throughout the day, whatever they may be, just hold up the turkey leg and use it as a defensive weapon to ward off unhelpful relatives/bad food. If there are any humans under the age of Ten at your abode there is no chance of you having a lie-in, and thus breaking your 'normal sleep hygiene' patterns. If there aren't any little people, you must still get up early to un-wrap your presents under the christmas tree. You must then re-wrap them, obviously, so you can join in with festivities later. But, this is a good chance to swap any gifts you don't want! While the other adults are sleeping you will then be able to have a turkey sandwich for breakfast and pre-lunch snack - see above. 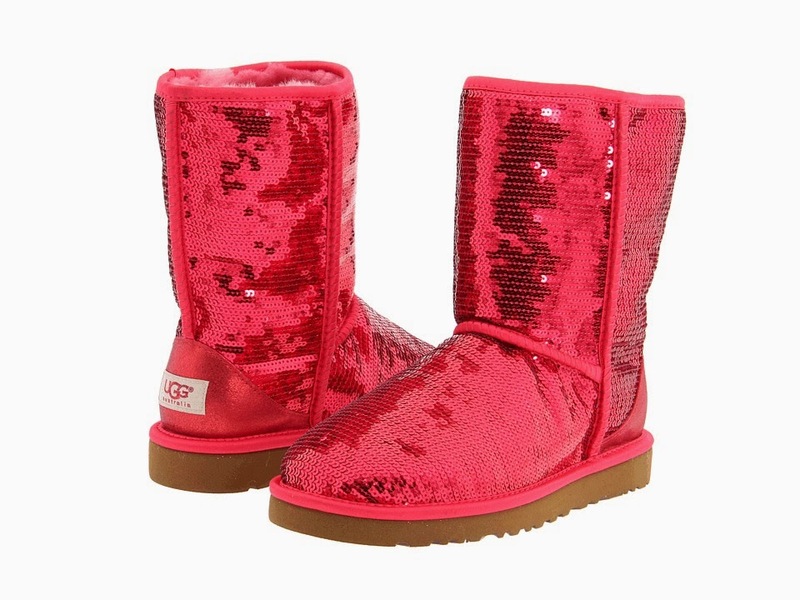 You have permission to wear sparkly Ugg Boots all day long. If you insist on wearing actual shoes, platform wedges are cool at the moment, so you can still look fashionable and not break your back. Do not break your back/neck/shoulder with pointy stilettos. Ugg Boots are your friend on this day. 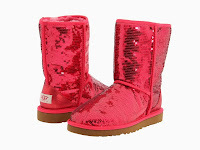 Simply say they were a Christmas present from the host and no-one will dare question your questionable fashion taste. 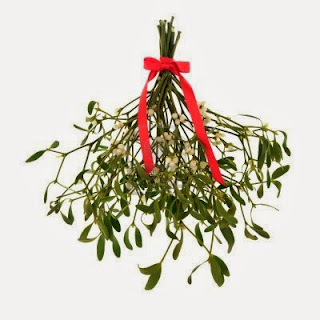 To get yourself out of any 'danger' situations - i.e sitting next to your Aunt who wears that hideous perfume that seems to block up your nostrils after one whiff - hold up your mistletoe. Hold it up high above her head, beam lovingly at your Aunt and say 'Pucker up Auntie, I have the mistletoe'! She will then proceed to make a polite excuse to move away. Obviously, there is a very slight possibility of this trick going awry - but give it a try. Hopefully, you will have already purchased yourself an early Christmas present of a designer Stella McCartney bum bag (Americans, this is a fanny pack - they really don't sound good in either language do they?). You must then fill your designer bum bag with everything you need to survive the day: a mini bottle of water, brandy, pain killers, triptans, eye masks, ear plugs, rescue remedies, hot water bottle - any and everything that will help you. Have no shame in lying down on the sofa at 1pm and donning your lavender eye mask and putting in your ear plugs to drown out the screams of over excited children. Simply place the mistletoe and the bottle of brandy on top of the all in one snuggie that you will be wearing, and your family will simply conclude you have drunkenly passed out and you will be left in peace. Simples. 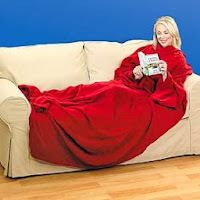 The combination of wearing sparkly uggs, a snuggie with a bum bag over the top will probably start some new fashion craze - so not only will you have survived Christmas but you will be in all the magazines. Could you ask for more? I do hope these essential survival tips help you get through the festive season with joy and peace. I've had my share of Christmas disasters in the past but this year I am determined to make it through in style and comfort. See you all in 2014! Thanks! Hope you have a migraine free Christmas Gill! This is an excellent list! I prefer to avoid the crowds entirely, but next time I'm trapped in a houseful of people, I'm stealing that turkey leg trick.